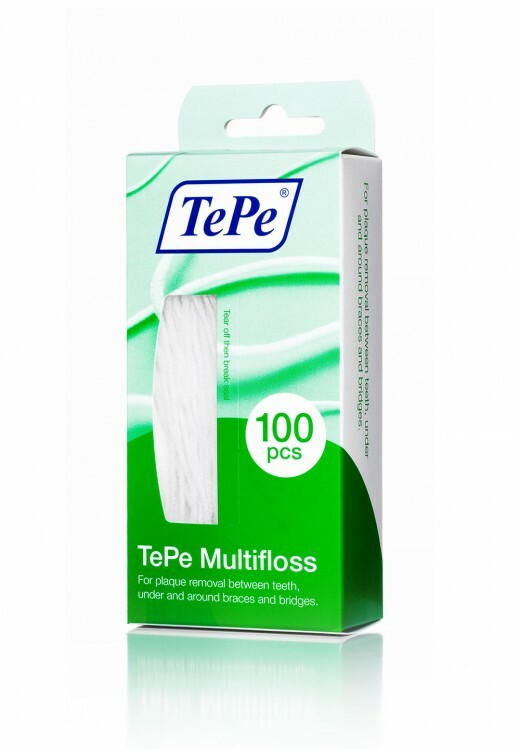 The Multifloss offers three features in one product: a stiff end for insertion, one spongy floss and one thin floss. The stiff end enables easy insertion of the floss, while the thick, spongy part and the thin nylon part allow effective cleaning of interdental spaces of varying size. 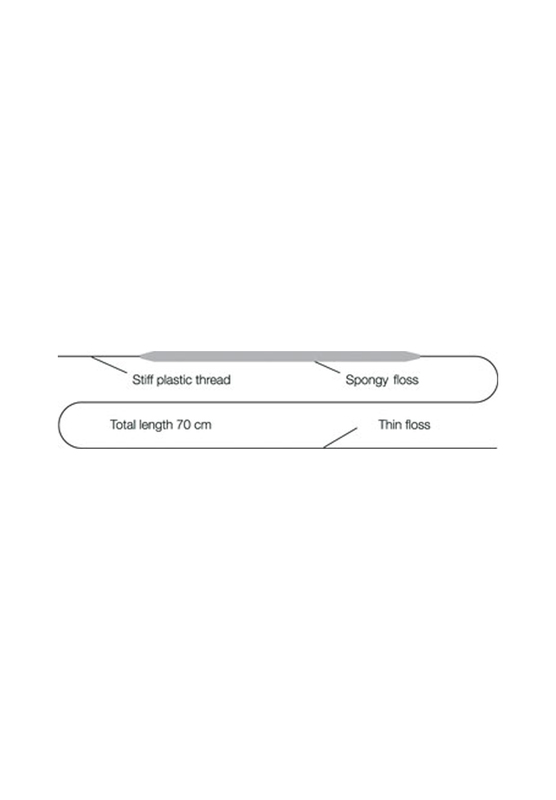 The thicker part is also suitable for plaque removal around orthodontic appliances, bridges and implant constructions. Insert into the space using the stiff thread. Use the spongy part to remove plaque between the teeth. Use the thin floss in narrow spaces. Clean along the tooth surface and 1-2 mm below the gum line. The Multifloss is effective for cleaning of orthodontic appliances. Optimal for cleaning bridges and implants.